Trimmer line alternatives exist in the market for use on Weedeaters for people who do not want the hassle of auto-feed lines and trimmer line breaking repeatedly. 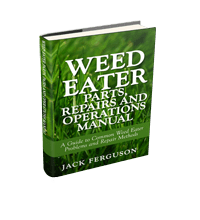 Grass Gator is the largest manufacturer of replacement heads and accessories for gas and electric weed trimmers. 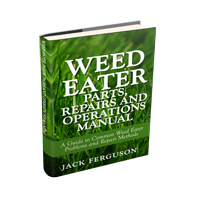 The Grass Gator replacement heads fit 99% of the gas weed trimmers on the market. The Grass Gator Light Duty, Heavy Duty, Extra Heavy Duty, and Electric MultiFit replacement heads are designed with tough, long lasting, blades. Weed Warrior cuts great, even bushes and small trees don’t stand a chance against it! The blades have lasted me about 8-10 hours, I imagine they can go another 4 hours before they will need to be changed. The blades on the competitors head were nylon and they would only last about 30 minutes or less before they needed to be changed. So the metal blades probably last you at least 25X longer than the nylon blades! !